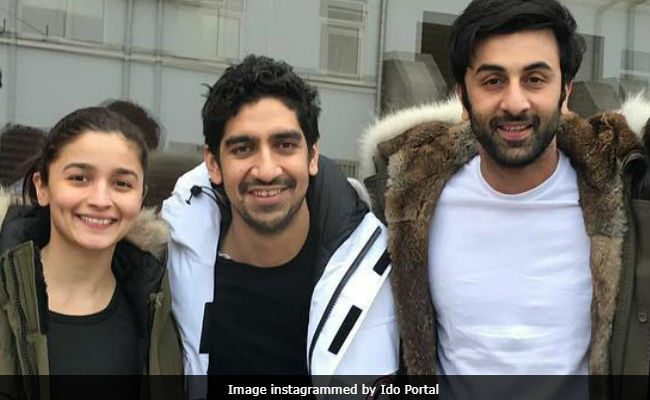 Brahmastra filming is going on in full swing in Bulgaria. "Movement coach" Ido Portal shared updates of his role in the film's making and the progress report of the project, which appears to be one-of-its-kind. The cast of Brahmastra - Ranbir Kapoor, Alia Bhatt and Mouni Roy - are currently working with Mr Portal and director Ayan Mukerji to bring something special on the big screen. "My role was initially movement design for the main character and later the transmission of that design into the actor playing that role- the talented Ranbir Kapoor," Ido Portal said in an Instagram post. He shared a few pictures with team Brahmastra too. Ido Portal was also impressed by television actress Mouni Roy, for whom he said: "Pleasure meeting the powerful and driven Mouni Roy." Mouni, who is best known for her role in TV show Naagin, is making her Bollywood debut in Reema Kagti's Gold, co-starring Akshay Kumar. In Brahmastra, she reportedly plays a negative role. Of Brahmastra, Ido Portal said: "(It) seems to evolve in the direction of innovation, and collision/collaboration between incredible technical powers with the ever present and old school refinement of movement, body expression dynamics and gesture." Brahmastra is a trilogy produced by Karan Johar. The film also stars Amitabh Bachchan, who is currently busy making Thugs Of Hindostan, financially backed by Yash Raj Films. Before Brahmastra (the first of which is expected to release next year), Ranbir Kapoor will be seen in Sanjay Dutt's biopic in the lead role while Alia Bhatt will be seen in Meghna Gulzar's Raazi.